It seems like everyday we hear the news there’s been an increase in card-skimming activity. Card skimming is nothing new, of course, but the technology has become more sophisticated, and cheaper, than ever – and much of it is about to become obsolete. Card skimmers are pieces of equipment that are “slipped into” card reading slots at ATMs, gas stations and other places where self-service transaction take place. The basic card skimmer lifts data from the magnetic strip on your card, then stores it for later retrieval by the thief, or even transmitted to a remote location. Thieves rely on a variety of means to get your PIN as well: the low-tech approach is to stake out an ATM that’s been equipped with a card skimmer, then look over people’s shoulders as they use the machine. A higher-tech approach relies on cameras, which thieves install near ATMs. The camera records the transaction as the user punches in his/her PIN. However, the latest generation of card skimming equipment includes an overlay piece that fits over the usual buttons on the ATM. As you punch in your PIN, the overlay “layer” records the keystrokes, even as the legitimate buttons underneath are pushed. As you can see, thieves have ways of getting your magnetic tape data – and your PIN – without you ever knowing. Just think of all the times – in all the places – where you swipe your card to buy things. Any of these locations can be compromised using this high-tech skimming equipment. Thieves can purchase the equipment on “dark” Internet sites – often for as little as $1,000. 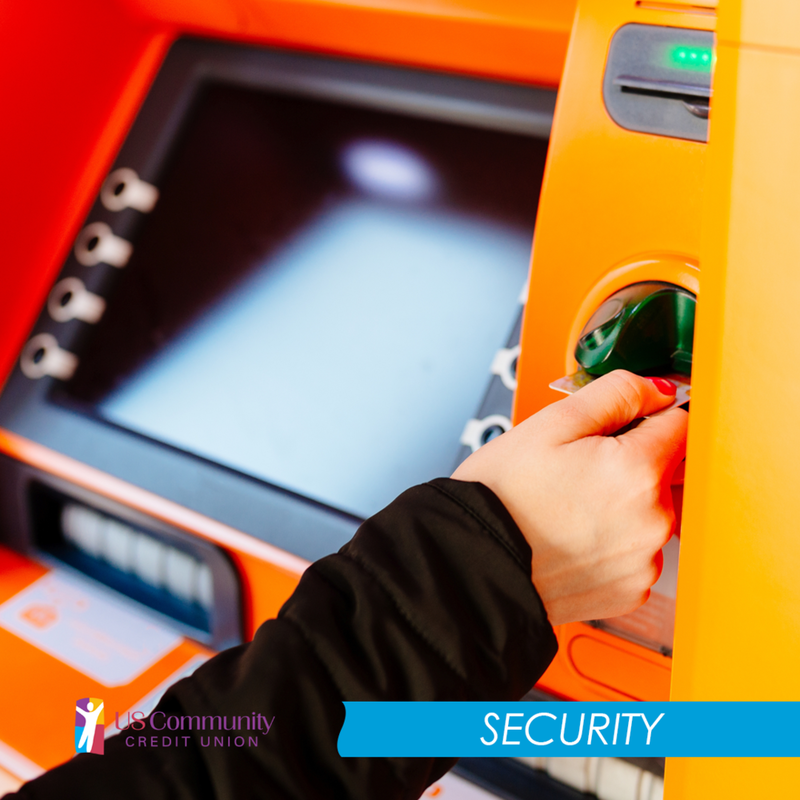 A card skimming operation can be put together for very little money and, with the latest tech, can be run from a remote location. The thief need never return to the scene of the crime. Recent reports from law enforcement suggest that these thieves shifted into high gear over the last several years, installing more of these skimmers than ever before. The reason is simple: the new chip-on-card technologies that are replacing magnetic strips on cards. Skimmers designed to read data from magnetic strips will get nothing from the new chip cards. So, much of the “installed base” of card skimming equipment will therefore become obsolete before too long (at least we hope so). Thieves want to cash in while they can. While the new chip card technology is more secure than the old magnetic strips, consumers should still be on their guard. For one thing, the cards being sent out today contain both chips and strips. This is because it will take years for the chip-reading equipment to completely replace the strip readers at banks, retailers and other places of transaction. If you use the magnetic strip on your card, you are just as vulnerable as you’ve ever been – even if you have a chip on your card. Another reason we shouldn’t feel too secure about the future is that thieves will eventually find ways of hacking chip cards. No security technology is without its vulnerabilities. For now, though, the greatest threat is posed to users of magnetic strip cards, and this threat has increased. Thieves are constantly upgrading their technology, and card skimmers are becoming smaller and harder to notice. One of the easiest things you can do to thwart a card skimmer scam is to pull on the card reading device on any ATMs or gas pumps you visit. A lot of times these cards skimmers are attached to the front of the card reader, and you can feel them wiggle. So you wiggled the card reader and it didn't seem to have a card skimmer attached. Good, but you're not out of the woods yet. More and more often these days, card skimmers are being attached inside gas pumps. Make sure to check for the security seal on the door of the gas pump. If the seal is missing or broken, report it to a gas station employee, then pay for your gas inside the store. A lot of these internal skimmers run on Bluetooth technology. By using a Bluetooth scanner on your phone, you may be able to notice a card skimmer before you use that reader. Check out the App Store and Google Play for available scanning apps. It can be scary out there. Stay safe! Do You Have an Unhealthy Work-Life Balance?